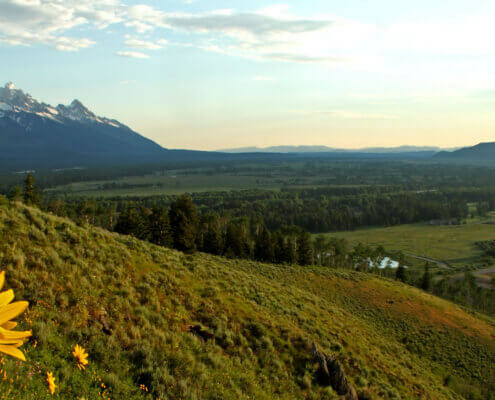 The Land Trust works to protect open spaces, wildlife habitat, working lands, and community spaces in Jackson Hole and Northwest Wyoming. We protect land primarily through the use of a tool called a conservation easement. An easement acts like a blanket upon the landscape, being passed down from owner to owner, protecting the land for generations, uniquely shaped for each special aspect of the land upon which it sits. Each easement is different and varies depending on the desires of the original landowner. Mail: P.O. Box 2897, Jackson, WY 83001. Derek joined the Land Trust team as Land Steward & Staff Biologist in February of 2016. Derek grew up in Ohio, but after gaining as B.S. in Botany from Miami University, he traded the flat-lands of the Midwest for the alluring landscapes of the West. After 22 years working in ecology and habitat enhancement for a number of federal, non-profit, and consulting entities, Derek is excited to help uphold the conservation vision of easement donors and landowners. Above all, Derek enjoys sharing the wonders of the Greater Yellowstone Area with his wife, Jen, and two little girls, Lila and Quinn. Steffan was born and raised on Colorado’s Front Range. He holds a B.A. in Biology and a B.A. in Environmental Studies from Gustavus Adolphus College in Minnesota, and a Master’s of Natural Resources Stewardship from Colorado State University. Steffan has previously worked at the Aldo Leopold Foundation and in Minnesota for The Nature Conservancy on grassland conservation and management, as well as for the Institute of Ecosystem Studies and the USGS. He draws inspiration from Aldo Leopold’s Land Ethic. Erica joined the Jackson Hole Land Trust as a Land Steward and Staff Biologist in the winter of 2017. She holds a B.S. degree in Zoology with Honors from Colorado State University, and an M.S. degree in Wildlife Biology from Utah State University. 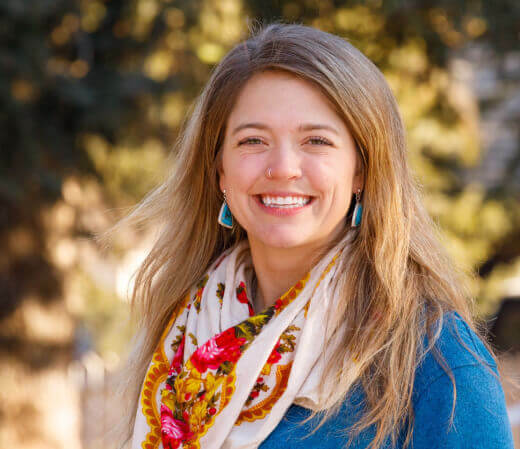 She has conducted research in the Greater Yellowstone Ecosystem since 2007, and brings experience working for diverse stakeholders including research institutions, consulting firms, and the National Park Service. Erica specializes in the spatial ecology of wildlife, and has worked with a number of iconic western species including mule deer, pronghorn, elk, bison, and Greater sage-grouse. She is passionate about understanding how animals move across our landscape, and how that might change as more people come to enjoy the beauty of the Jackson area. When she’s not in the field, you can find her backcountry skiing, birding, trail running, and trying not to crash on her mountain bike. Liz Long joined the Land Trust in July of 2012 as Protection Manager. Liz was born and raised Birmingham, Alabama and holds a BA from the University of Georgia in Philosophy. She moved to Wyoming upon graduation and fell in love with the Tetons and the community of Jackson. She then returned to the University of Georgia to earn her law degree where she focused in environmental and land use law and gained experience with governmental agencies and numerous non-profits, hoping to return to Jackson. Outside of work Liz enjoys skiing, biking, hiking, yoga, music and time with her two pups, Murphy and Bella. Annie joined the Land Trust in 2019. A native of Michigan, Annie is an alumna of Cranbrook Kingswood School and earned her B. A. at St. Lawrence University. After doing college admissions work at Union College and St. Lawrence University and spending most of her free time in the Adirondack mountains, Annie was drawn to skiing here in Jackson Hole, and the wide open spaces in the west. Annie has spent years polar migrating between living and working for the National Park Service at Denali National Park, and working austral summers and winters on behalf of the US Antarctic Program at McMurdo Station, Antarctica. Annie is happiest in the out of doors, and loves all varieties of skiing, cycling, hiking and long distance swimming. After spending so many years on the move, Annie is thrilled to join the Land Trust and to call Wyoming and the Tetons her permanent home. Betsy joined the Land Trust in July of 2018. Raised in Jackson Hole, she followed her love of ski racing to Middlebury College where she graduated with a degree in Economics. Having worked closely with brand development at a high end fashion firm and with both community engagement and parks management at the NYC Parks Department, Betsy is excited to use her experience to help protect the lands she grew up in. She loves to spend her free time skiing, hiking, and fishing with her dad. Laine joined the Land Trust as Conservation Associate in December of 2014. Growing up hiking and camping in the Pacific Northwest, she developed an inherent appreciation for open spaces and wildlife. Laine received a B.S. in Environmental Science from San Diego State University. She brings project management experience to the Land Trust and has worked alongside both non-profit organizations and government agencies to perform ecology research, wildlife studies, and habitat restoration. She is thrilled to call Jackson Hole home and enjoys spending her spare time mountain biking, hiking, trail running, skiing, and surfing. Jr joined the Land Trust in October of 2017. Born and raised in the Bayou City, Jr’s appreciation of open space grew from exploring his local waterways and bikeways. He graduated from Reed College in Portland, Oregon in 2012 with a B.A. in Political Science focusing on International Relations. Jr brings environmental non-profit and community engagement experience from his positions as Manager of Programs and Development for the Greens Bayou Coalition and Trip Leader for National Geographic Student Expeditions. Jr enjoys trail running, travel photography, kayaking, and eating banh mi. Derek joined the Land Trust in September 2013 after many years in the ski industry. Born in the Upper Peninsula of Michigan, he was raised in Phoenix, AZ. Derek attended Santa Clara University, earning a BS in Finance, and holds an MBA in International Management from Thunderbird School of Global Management. When not out walking with his golden retriever, Derek enjoys travel, skiing, and more travel. Katie-Chloe joined the Land Trust in November of 2015. Growing up in the Mississippi Delta, she always had a love for the vast and open agricultural landscapes that abound there. Katie-Chloe received a degree in Marketing Communications from the University of Mississippi and moved out to Jackson shortly thereafter. Having worked in public relations and the tourism industry since then, she is now excited to delve into all aspects of fundraising and development. She has grown to love the mountain lifestyle and community of Jackson and is happy to be working in part to protect this place she calls home. In her spare time, she enjoys adventuring with her dog Finley, skiing, music and spending time on the water. Ellie joined the Land Trust in 2017. Originally from bustling metropolis of Charlotte, North Carolina, she moved to the smaller town of Burlington, North Carolina to pursue her undergraduate degree, where she graduated from Elon University in 2012. Shortly afterward, Ellie relocated to Jackson, Wyoming to pursue her love of the outdoors. Ellie brings non-profit experience from her position as Communications and Events Analyst at Rendezvous Park. Ellie has now been in the Jackson region for over 5 years and enjoys skiing, backpacking, mountain biking and cultivating her expansive collection of vinyl records. Kathryn Tolley joined the Land Trust in June 2018 as an Advancement Associate for the Green River Valley Program. While growing up in Cincinnati, Ohio, Kathryn fell in love with the landscapes and wildlife of Northwest Wyoming during annual summer trips to the area. 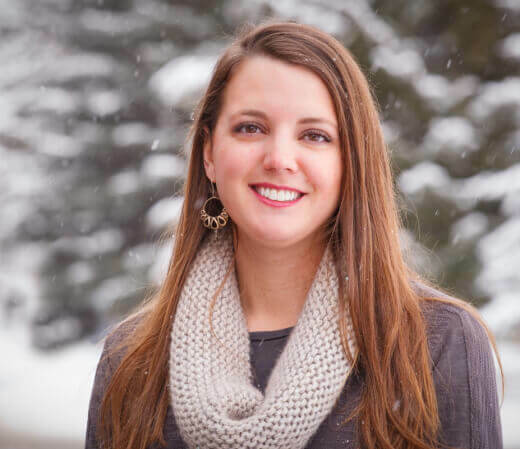 With a Bachelor’s from Gettysburg College and a Master’s degree in Philanthropic Studies at the Lilly Family School of Philanthropy, Kathryn has worked at an education center in Alaska, and also with the Snake River Fund in Jackson. Kathryn enjoys spending time outdoors with her family, hiking, cross-country skiing, snowshoeing, hunting, and target shooting. She also enjoys baking, playing board games, watching movies, and reading. Lizzie joined the Land Trust in 2016. Originally from the suburbs of Cleveland, Ohio, she graduated from Colorado College in 2012. In 2015, Lizzie obtained a Masters in Archaeology from Durham University in England. Lizzie brings non-profit and land conservation experience from her position as Manager of Membership, Volunteers, and Special Events at Western Reserve Land Conservancy in Cleveland. Lizzie relocated from Ohio to Jackson in 2016 and enjoys fishing, camping, and playing with her white lab, Gouda. Jenny joined the Land Trust in August of 2011. Originally from the small town of West Baldwin, Maine, she graduated from Northeastern University in Boston, Massachusetts in 2005 with a dual degree in Political Science and Communication Studies. Jenny brings non-profit and grant administration experience from her position as Program Coordinator at the Kodiak Area Native Association in Kodiak, Alaska. Jenny has recently relocated from Alaska to Jackson and enjoys skiing, mountain biking, hiking, running, and knitting. R. Jason Snider graduated from West Virginia University with a degree in Landscape Architecture and moved to Jackson in 2001 to work as a landscape architect and land planner. In 2008, he co-founded Agrostis, Inc., a landscape architecture and land planning firm providing professional services to a wide range of clients in the region. Jason brings a working knowledge of Teton County’s planning process to the Board and is involved in a number of community-oriented activities. Bob Peters first visited Jackson Hole as a kid in 1961 during the classic family station-wagon marathon trip through the West. He’s never forgotten the view of this valley as they drove down from Teton Pass. His next visit was on a ski trip during sophomore year at Iowa State University in 1969. In the winter of 1974/75, Bob and his wife Ruthie spent the first of what has now been over 40 winters skiing at the Jackson Hole Mountain Resort. In the winter of 1979, Bob was hired as a backcountry alpine ski guide at the resort and spent the next 8 seasons taking clients out of bounds. In 2002, Bob and Ruthie moved to the Valley full time and Bob became a partner in the North 40 Realty real estate brokerage. Since that time, he’s also been a part-time adult private ski instructor at JHMR. Bob loves skiing so much that he did a streak of skiing at least once a month for 200 consecutive months, a string that ended in the summer of 2014 when he had both knees replaced. Coincidence? We’ll probably never know. In addition to serving as board member and Open Space Council chair at the Land Trust, Bob is active in the community and serves on the boards of the Community Resource Center of Jackson Hole, Friends of Fish Creek, and the Snake River Fund. Lori and her husband, Marlin Risinger, joined the Jackson Hole community in 2005. Lori and Marlin raised their three sons in London, where they lived for 17 years. In January 2016 they returned to the US, and now reside in Jackson. In her early career, Lori worked as a trial attorney at the US Department of Justice, and later became Assistant Special Counsel to the US House of Representatives’ Committee on the Judiciary. Lori has been actively involved in education related charities. Currently she serves on two non-profit education boards. In addition, for many years she served as Chair of the Board of Trustees of the American School in London, a K-12 independent school in central London. Lori studied as an undergraduate at Stanford University and received her law degree from the University of Virginia. Karen Parent has a Master of Architecture degree from Columbia University and moved to Jackson Hole in 1996, inspired by the beauty of the landscape and the opportunity to have a positive impact on a rapidly changing built environment. Karen has worked to promote awareness of the value of thoughtful design and planning through her service on the Town of Jackson Design Review Committee since 2004 and her work as a part time high school architecture teacher at the Jackson Hole Community School since 2009. Karen currently works with Stephen Dynia Architects. Jennifer Sparks is a Senior Portfolio Manager and Partner at Friess Associates, managers to the Brandywine Mutual Funds. She has worked at Friess Associates for over 15 years. After graduating from the University of Vermont in 1989 and travelling West, Jennifer thought she would stay in Jackson Hole for just one year. She fell in love with the Valley and has been here ever since. She has been an active member on Teton County Search and Rescue for 16 years and has dedicated her time to serve on numerous Boards of Directors. She believes volunteering and community involvement are an important part of what makes Jackson Hole so special. Jennifer and her family brave the wilds of Town living and she enjoys fishing, trail running and winter time activities. Joe Albracht co-founded Mobius Management Systems Inc. in 1981 and was the Chief Operating Officer. Headquartered in Westchester County, New York, Mobius is a leading provider of enterprise software products designed to optimize the storage, retrieval and presentation of large volumes of transactional information. In 2000, he and Patricia Stancarone purchased a home in Teton Village and became full time residents. He enjoys the great outdoors with activities such as hiking, skiing, biking and simply observing the landscapes and wildlife. He is also an instrument rated private pilot. Jill Baldauf is a 25 year veteran of the advertising industry. Her career has spanned both coasts with key positions at DDB, Grey, Ogilvy & Mather and Benton & Bowles. In 2003, she retired to form her own agency, Ampersand. Jill began coming to Jackson 20 years ago on her honeymoon and has visited every year since then with her husband, Steve Grossman, purchasing a home in Wilson in 2005. Together with their daughters, they have truly enjoyed becoming part of the valley community visiting as often as time permits from their full time home in Santa Monica Canyon, California. Jill is extremely active in the Los Angeles community currently serving on the boards of Chrysalis, The Broad Stage, Blue Ribbon and LA Opera. She is a fifth generation Californian originally from San Diego, and has her B.A. from UCLA and MBA from UCLA’s Anderson School. Bill Bradford, MD, PhD, is a consultant in the life science industry, providing strategic and technical expertise to companies engaged in pharmaceutical development. He has served in a variety of executive and scientific roles at biopharmaceutical companies, and previously was an academic on the Infectious Diseases faculty at UCSF where he had a research focus in Africa. Bill has been a regular visitor to Jackson Hole since the 1970s and became a full-time resident with his wife Catherine and three children in 2011. Jan Phillips Davis has been coming to Jackson Hole since her college days in the 1980’s. Born and raised in New York City, Jan has called Pacific Palisades, CA home for the last 24 years. Jan received her BA in History from Brown University and MBA from Columbia University and is an Outward Bound graduate. Jan serves on the Resource Council of the Grand Teton National Park Foundation. She also spends time counseling first generation inner city students through CollegeMatch in Los Angeles and is a member of Women Helping Youth, an LA philanthropic group providing after school activities for local youth. She is also a member of the Director’s Circle at the Los Angeles County Museum of Art. Jan, her husband Chuck, and children Jared and Jenna (all Brown graduates) support scholarship students at Brown from Africa and inner city Los Angeles. Jan enjoys skiing, snow shoeing, hiking, horseshoes, yoga, and vegetarian cooking. Kelly Davis is an avid equestrian and owner of Old Oak Farm, LLC and international show jumping stable. She is married to George Davis. They have two children, Lucy and Clay. Kelly and George are past Chairs of the Stanford Parents Advisory Board. Kelly was on the Board of the Sullivan Canyon Preservation Association for 8 years. Kelly currently serves on the California Committee South for Human Rights Watch and the Director’s Circle at the Los Angeles County Art Museum. When not riding horses, Kelly enjoys skiing, mountain biking, fly fishing and running, and has recently taken on the big challenge of learning golf. Tom Evans moved to Jackson Hole in 1978, and started in the real estate brokerage business in 1986, working with BBC Real Estate. In 1996 Tom was recruited by Jackson Hole Realty where he also joined as a partner and shareholder. In 2003 Sotheby’s International Realty purchased the assets and business of Jackson Hole Realty. Tom is an associate broker with Jackson Hole Sotheby’s International Realty working out of a branch office in Teton Pines. // Tom serves on many nonprofits within the Jackson Hole Community, including Habitat for Humanity of the Greater Teton Area. He is also a member of the Board of Governors for 3 Creek Ranch Resort and is head of the Ambassador Committee. Tom and his wife Andrea have two children, Ashley and Alicia. The Evans clan spends a great deal of time in Yellowstone and Grand Teton National Park camping, fishing and rejuvenating their love for the valley. Mike is an avid outdoorsman who lives and works in Pinedale. He attended the Air Force Academy and earned a degree at the University of Wyoming. Mike has over 30 years of experience in construction management and has developed and operated several business ventures in the energy industry. He owns two ranches outside of Pinedale; one of which was recently conserved through The Nature Conservancy with help from the Green River Valley Land Trust. Mike previously served on the GRVLT board and was the Lands Committee Chair. He is an active member of the community and is passionate about conservation and wildlife. JJ founded Healy Capital and is a technology industry veteran with more than 20 years of experience with companies including EMC Corporation, CS First Boston and Yahoo! 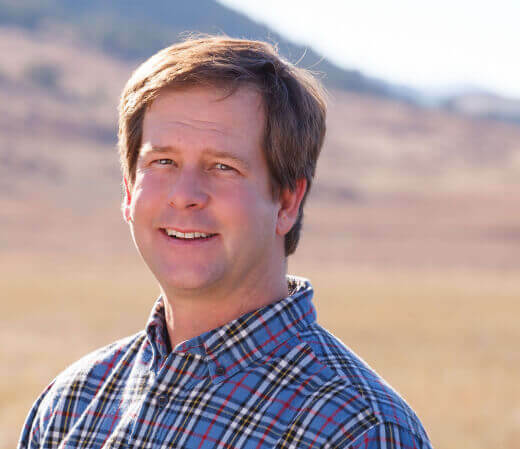 Inc. JJ is the Vice Chair of the National Fish and Wildlife Foundation, was appointed by the Governor of Wyoming to the Select Committee for Split Estate Reform, and also serves on Saint Anselm’s Board of Trustees. He owns the Double J Ranch LLC, in Daniel, WY, and was on the Green River Valley Land Trust Advisory Board. Pete Lawton’s familiarity with the valley makes him a tremendous asset to the Land Trust board. Pete grew up in Jackson Hole and attended the University of Wyoming. He further augmented his credentials with several more business and banking related degrees outside of the state. The CEO of Bank of Jackson Hole since 2011, he previously served as Jackson Market President for Wells Fargo and President of Jackson State Bank & Trust. The Land Trust appreciates Pete’s steadfast commitment to this community. Cody is a lifelong resident of Jackson. Cody takes every opportunity to venture into the mountains surrounding Jackson Hole with his wife Shauna, daughter Amelia, and son, Callahan. Professionally Cody is a Director of Wind River Capital Management. Wind River Capital Management helps families and institutions with their unique financial needs, specializing in asset management. His team’s ability to handle all types of complex and unique financial matters for their clients from an office in Wyoming is something Cody takes great pride in. Cody’s time away from the office is spent helping his family run their cattle ranch, and beef business, Lockhart Cattle Company. Lockhart Cattle Company focuses on producing high quality sustainably grown grass fed beef. Cody is Chief Advisor of Teton County Search and Rescue, where he is always on call to help those in need. Alexander Muromcew moved to Jackson full time from San Francisco in 2010 with his wife and four children. A native of Washington, D.C., he has lived on the East and West Coasts as well as in Tokyo. While living in San Francisco, he served on the board of the San Francisco Parks Alliance and was Finance Chair. He is also very involved with the Sheriff’s Meadow Foundation in Massachusetts. Alex graduated from Dartmouth College with a BA in East Asian Studies and has an MBA from Stanford University. Professionally, Alex’s career has been in international finance. Most recently, he was a Managing Director at financial services firm TIAA and was lead portfolio manager of the TIAA Emerging Markets Equity Fund. Alex is an avid skier (alpine and nordic), cyclist (road and mountain) and hunter. Brad was born and raised in the Rocky Mountain region and earned his juris doctor degree from the University of Utah College of Law in 1982. During his 34-year legal career he served in various legal roles with several major energy companies. He spent 19 years of his career living abroad and managing legal teams and projects in all parts of the world. Brad retired in 2015 from his role as General Counsel at Royal Dutch Shell and is currently a board member of several non-profit organizations involved in conserving some of Wyoming’s extraordinary natural resources. Scott Pierson is the president and co-founder, with his wife Lisa Pierson, of Pierson Land Works. Scott previously served as a Jackson Hole Land Trust board member from 1997-2005, including a term as president. His long-term relationship with the Land Trust and 35 years of experience in land planning and management are valuable assets to the board. Recently retired after 38 years of federal service with the Forest Service, Michael has a long career of land and resource management, and many years of volunteer work. Michael graduated with a Bachelor of Science Landscape Architecture (1974), from the University of Wisconsin. He entered private practice, working with many Wisconsin communities, helping residents and elected officials develop parkland systems; early years of collaboration. Michael moved to public service, beginning at the county-level as liaison between parks and freeway departments. He worked with neighborhood groups to locate and develop freeway systems. Michael moved to city-level public service, again working with neighborhood groups, developing parks and resolving recreation and land use issues. Michael entered federal government as Landscape Architect for the Forest Service in northern Minnesota. He moved to Vermont as District Ranger; and then to the Bridger-Teton National Forest in Wyoming as Ecology Resource Group Leader. At the time of his retirement, he served as Planning and Lands Staff Officer, preparing for Forest Plan revision. In his “free time” Michael and his wife Claudia spend many hours giving back to our community by volunteering. He has served on the Board of the Community Resource Center, and Presbyterian Church of Jackson Hole. In his early years in Jackson, he volunteered with Ducks Unlimited, Rocky Mountain Elk Foundation, Trout Unlimited. Later he joined The Jackson Hole Lions Club, where he has served several times as President. Today he and Claudia are active with the Grand Teton Music Festival, the Center for Arts, and Lions activities. Even after retiring, Michael remains active, working behind the scenes, on land adjustment cases, and meeting with private landowners to help them move their private land to public land. Michael has positive energy, always working to resolve issues and concerns. He believes the glass is always half-full. Shawn Smith is the founder of Silver Sage Capital, LLC, an impact capital company focused on conservation values coupled with the financing and investment in socially responsible real estate development. 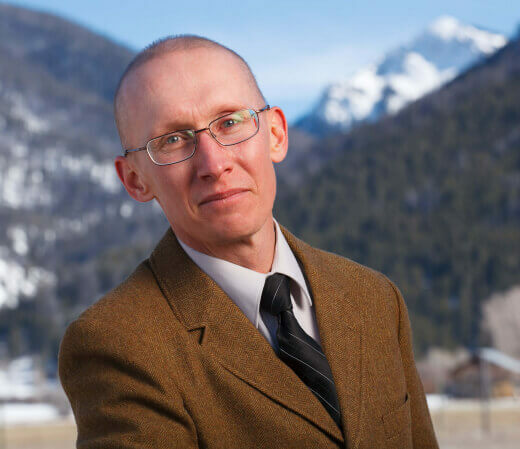 Previous to Silver Sage, Shawn was President of Convergence Management Co. and a member of Convergence Investments, LLC, a real estate development and investment firm located in Jackson, WY. // An avid angler and outdoorsman, Shawn can be found spending his free time exploring streams and duck marshes with his wife, Beverly, and daughters, Virginia and Harriet. He achieved his MBA from the Kellogg School of Management in Evanston, IL and received a Bachelor of Arts from Brown University in Providence, Rhode Island. Ken Taylor is a partner of Century Farm, LLC and former President and CEO of Taylor Industries, Inc., Taylor Packing Co., Inc., and Taylor By-Products, Inc., in Wyalusing, PA. He was a leader in the meatpacking industry, serving on the board of the American Meat Institute as both Chairman and as a member of the Executive Committee. Ken received his B.S. in economics from Dartmouth College in Hanover, NH, and served three years in the U.S. Army, completing tours of duty in Germany and Vietnam and attaining the rank of Captain. // Ken is an active community member in Jackson Hole and in Wyalusing, PA, and serves on the boards of a number of community and civic organizations, including the Jackson Hole Land Trust, St. John’s Medical Center Foundation, Crescent H Association of Homeowners, Guthrie Healthcare System, and PSBank in Pennsylvania. Ken and his wife Caroline have had a home in Jackson since 1995, are residents, spending both the winter and summer months in the valley, and are conservation easement landowners with the Jackson Hole Land Trust and North Branch Land Trust of northeastern Pennsylvania. Ken is an avid fisherman, bird hunter and skier. John L. Vogelstein, former President of Warburg Pincus and a Senior Advisor of Warburg Pincus, joined the Land Trust’s Board of Directors in 2014. John holds positions on many boards including chairman emeritus of the New York City Ballet; chairman emeritus of Prep for Prep; chairman of Third Way; vice chairman of the board of overseers of The Leonard N. Stern School of Business at New York University; trustee of New York University; trustee of Temple Emanu-El; and chairman emeritus and life trustee of The Jewish Museum. John first visited Jackson in 1978 and returned many times over subsequent years. He and his wife, Barbara, have enjoyed living in Jackson since 2003. Rob Wallace is Chief Regulatory Officer of i2 Capital and Co-founder and Partner of the Upper Green River Conservancy. He is an ardent advocate for landscape scale conservation banking as a solution to the co-existence of energy development and conservation in the American West. From Evanston, Wyoming, Mr. Wallace formerly served as Director, U.S. Govt. Relations for GE Energy, Staff Director for the U.S. Senate Committee on Energy and Natural Resources, Chief of Staff to U.S. Senator Malcolm Wallop, Chief of Staff to Wyoming Governor Jim Geringer and Assistant Director of the National Park Service. Vince Lee came to the valley in 1967, following graduate school at Princeton and a tour in the far east with the U.S. Marines. He joined long-time Wilson resident, John Morgan, as a partner in the firm of Design Associates architects in 1969 and led the firm for 30 years following Morgan’s retirement in 1972. During the same period, Vince was a seasonal mountain guide and owner of High Country West, Alpine Adventures, the first local representative of The Nature Conservancy, and a three-term member of the Wyoming Quality Council in Cheyenne. He was a founding board member of the Jackson Hole Land Trust and served as President from 1981-1986. His son, Christopher, took over Design Associates in 2002, and Vince and his wife Nancy now live in McElmo Canyon, near Cortez, Colorado. Rod Moorhead is retired from Warburg Pincus, a private equity and venture capital firm in New York, where he was employed since 1973. He currently serves as a director of Coventry Health Care, Inc. and Proximity Learning. Mr. Moorhead is Chairman of the Board of Trustees of the Taft School, a member of the Oversees Committee on University Resources, Harvard College, a member of the Harvard Medical School Board of Fellows, Co-Chairman of The Stroud Water Research Center, and a trustee of the Brandywine Conservancy. He holds an MBA from Harvard Business School and a BA in economics from Harvard University. He and his wife, Alice, split their time between New York City, Unionville, PA and Wilson. In his free time Rod enjoys fishing, fox hunting, golf and skiing. Gil Ordway’s participation in the work of the Land Trust has been valued for many years. He first joined the Land Trust Board in 1982, two years after the Land Trust was founded, and has served as a Board or advisory council member every year since that time. After graduating from the University of Colorado Law School, Gil moved to the valley in 1953; he and his wife, Marge, own the spectacular Fish Creek Ranch, most of which was protected in 1975 by one of the first conservation easements in Wyoming. The Ordways’ dedication to land preservation has been an inspiration to all associated with the Land Trust. Allan Tessler is an emeritus board member, past board member and past president of the Jackson Hole Land Trust. He and his wife, Frances, reside in Jackson. An attorney and specialist in investment banking and turnaround financing, Allan has offices in both Jackson and New York. He founded International Financial Group, Inc., an international merchant banking firm, in 1987 and has served as its chairman and CEO since that time. He also serves as co-CEO, chairman and director of several other companies. // Allan started his career in the law firm of Cleary, Gottlieb, Steen & Hamilton. He has also served as counsel to Spengler, Carlson, Gubar & Churchill, and was senior managing partner of Shea & Gould. He supports his alma mater as co-chairman of the Cornell Law School Capital Campaign and as an emeritus trustee and Presidential Counselor of Cornell University. Allan is also Vice Chair of the Hudson Institute. Mike Wardell is currently a Jackson Hole Land Trust (JHLT) emeritus board member. In the past, he has served the Land Trust as a board member, president, and member of various committees. A lifelong Jackson Hole resident, Mike developed a passion for the land as a skier, rancher, hiker, fisherman, and businessman. He was one of the early supporters of the concept of preserving open lands in the valley. His family has protected several hundred acres in Jackson Hole with easement donations on land in the South Park area. // A familiar face in the community, Mike is now a partner at Real Estate of Jackson Hole and in the past he was an owner of Jackson Sporting Goods Company and Teton Village Sports. His first career was at the Highlands Lodge in Grand Teton National Park, which he and his family owned and operated from the late 1940’s to the early 1970’s. Mike also served as vice president of the Jackson Hole Historical Society and Museum and is a past board member of the Jackson Hole Community Housing Trust. Anna Cole has lived and worked in Jackson Hole for over 10 years. Born and raised in southwest Virginia, Cole moved to Jackson in 2005 after graduating from Vanderbilt University. The plan was to “ski bum” for one winter but her love of the mountains, ski industry and the community kept her in the valley. She and her husband Eric are passionate trail users, and can be found with their two dogs biking, hiking and camping in the summer, and skiing in the winter. As the Communications Manager for the Jackson Hole Mountain Resort, Cole has worked collaboratively with the Jackson Hole community and state of Wyoming to grow awareness around the special place that is Jackson Hole. 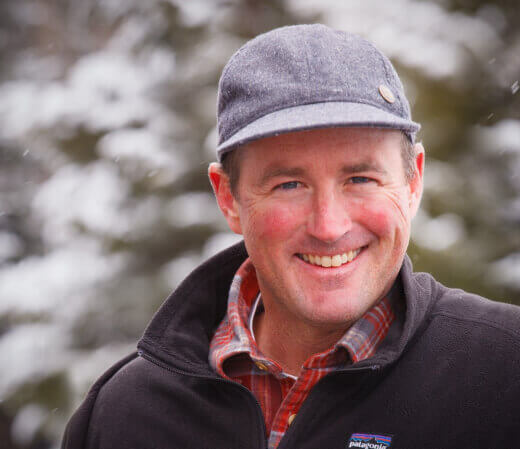 A passion for outdoor recreation year-round, trails, open lands, and the protection of the valley’s assets drew Cole to join the Land Trust Open Space Council in October 2014. 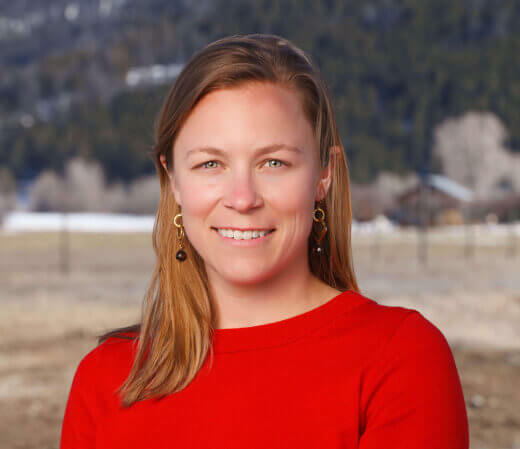 “I am thrilled to be a part of the Open Space Council, and look forward to working in partnership with the Land Trust to help educate and engage our locals and destination visitors about conservation efforts in our valley,” says Anna. Judy Cox has been coming to Jackson for over 40 years with her husband Billy. She graduated from the University of Georgia with an AB Degree in Journalism, and worked for Pan American World Airlines in Association Sales, as Lead Demonstrator/Trainer for Polaroid, and as Special Events Director for Washington Home & Hospice. An active volunteer for many years, she has held numerous positions and chairmanships at the Children’s National Medical Center, the Washington National Opera Council, the Washington National Opera Women’s Committee, the Smithsonian Women’s Committee, and the Junior League of Washington. Judy and Billy have been part-time residents of Jackson Hole for the past 13 years, spending the rest of the year in Washington, DC. They have two daughters, a son-in-law, and two wonderful grandchildren. Originally from Georgia, she spent the first 8 years of married life in ski school because it is Billy’s favorite sport, and has gone on to enjoy many other adventures such as climbing the Grand Teton and Mt. Kilimanjaro, biking around the South of Island of New Zealand, and trekking in Patagonia. She and Billy look forward to retiring in Jackson. Judy joined the Open Space Council in 2013 and has also been actively involved in the Jackson Hole community through the City Kids Wilderness Project, the Art Association of Jackson Hole, and Addie’s Trunk Show. Matt Daly grew up in Wilson, WY. Upon graduating from Jackson Hole High School, he took off for Lewis and Clark College in Oregon and swore he would never live in Jackson Hole again. Fortunately, he learned that the dramatic pronouncements of a young man usually end up sounding naive once he has gained a little more experience. It took ten years of school and travel and more school, before Matt made the quieter and better decision to return to the valley in 2000 with his then-girlfriend, now-wife, Cindy. He and Cindy have lived in Rafter J ever since. They like looking for long-eared owls and the other wild inhabitants of their neighborhood. They are less fond of lawn care. For about a decade now, their son Frank has kept them on their toes. Matt has had many jobs, almost all of them in an educational settings, since returning to the valley. He currently teaches 9th and 10th grade English at the Journeys School of Teton Science Schools, a job he loves. In addition, he is a poet and writer whose work has been published in various print and online journals. He has taught creative writing to folks of all ages and in many places, including Orvieto, Italy, where he works as a faculty member for a Harvard Medical School CME course on reflection and resiliency practices for clinicians. 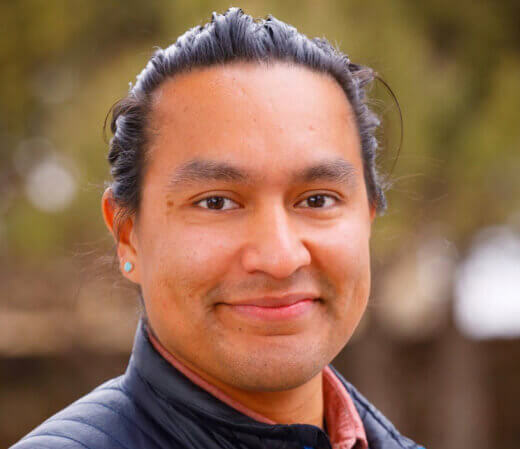 He is a resident faculty member at the 2016 Jackson Hole Writers Conference. Matt collaborates regularly with other artists on creative projects, including both years of FoundSpace programming for the Land Trust. He is also a board member of the Wyoming Arts Alliance. With forty years of his life connected to the valley, Matt feels deeply honored to serve on the Open Space Council. The landscapes he loves most in Jackson Hole are often those that remind him of the ragged pasturelands he tromped through as a boy. Thanks to the Land Trust, those rough-around-the-edges places still exists and keep the whole valley feeling a little bit wild. He hopes he can contribute something useful to the good work of the Land Trust. When not writing or teaching or spending time with family, Matt avoids yard work by being an avid fly fisherman. His love of moving water that is cold and clear enough for trout usually keeps him at lower elevation, looking up at the mountains instead of zipping down them. Des’ personal history with Jackson Hole dates back to the mid 1990s on a family vacation which led him to return nearly every year since that time, including five years working at the Teton Valley Ranch Camp in Dubois, WY. Des made the Valley his permanent home following his graduation from Middlebury College in 2008. After receiving his real estate sales license in 2010, Des joined RE/MAX Obsidian Real Estate in January 2011 and has worked primarily in the sale of residential, ranch, and investment properties, in addition to having considerable experience in commercial sales and leasing in the Jackson Hole area. Des is an active volunteer and committee chair with the Teton Board of Realtors and the National Museum of Wildlife Art, in addition to serving as an active board member of the Jackson Hole Public Art Association, and as a longtime member of Trout Unlimited. Des is an avid outdoorsman and enjoys spending his free time hiking, skiing, and fly fishing in the Greater Yellowstone Ecosystem. Caitlin Keys is a Washington DC native and a graduate of Colby College with a BA in Anthropology. Keys found her love of open lands and the Jackson Hole Valley when she migrated west for 6 weeks after graduating. 12 years later, the hiking, biking, skiing, and relationships she has developed have made Jackson her permanent home. Keys has spent time guiding hiking and horseback riding excursions in the Torres del Paine National Park in Chile & family bike trips in Costa Rica, before firmly planting roots in Jackson. For 9 years, Keys worked as the Director of Property Management for Hotel Terra & Teton Mountain Lodge, and still continues her involvement through the Homeowners Associations. Her current role as the Market Director for Concierge Auctions, a luxury real estate auction firm, creates a synergistic and gratifying fit both personally and professionally with the Land Trust’s Open Space Council. Keys enjoys volunteering with Habitat for Humanity, traveling to remote destinations around the world, and hiking Josie’s with her dog. Fio Lazarte has been a Jackson resident for almost 10 years. During this time Fio found her love for the mountains and teaching. This part of the journey began when she became a part time preschool teacher, a volunteer tutor, and Spanish language teacher for adults. 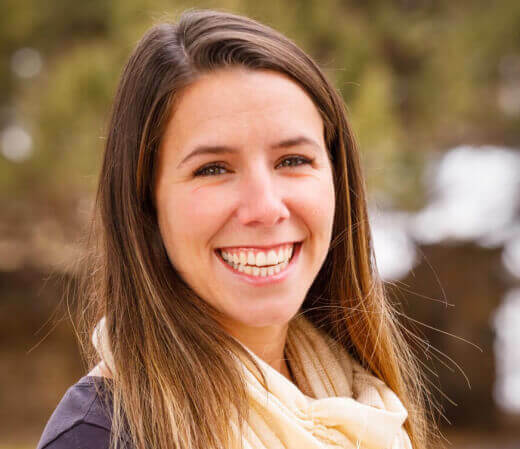 Following this, she became a lead teacher at a preschool and eventually joined the staff at Teton Literacy Center where she joined a new team to create an early literacy program. In this position, she has had the opportunity to help create a literacy-preschool program that serves children from low income families. Without this program, these children were at greater risk for struggling as they entered kindergarten. After one year of this program, all 30 of the children who participated and entered kindergarten are experiencing great success, which has been rewarding. More importantly, she finds the job very exhilarating and she has become passionate about teaching. In addition to Kindergarten readiness, she also teaches at Jackson Elementary for after-school enrichment pieces. In addition to her preschool teaching experience, she has also served as a volunteer advocate for the Community Safety Network—an organization committed to providing support, shelter, and advocacy for victims of sexual assault and domestic violence. Through this work, she has had the opportunity to advocate for victims who need support in their native language. In this respect, she also became a volunteer for the Latino Resource Center assisting at organization events and helping Latinos feel part of the community and supports the Santa’s Fund as another way to show gratitude to this community. Finally, she is also part of the Old Bill’s Fun Run Committee as the Latino Outreach Coordinator, during this time she was in charge to increase the Latino participation at Old Bills during this wonderful fundraising. Through all this work, she seeks to give back to the community of Jackson. Originally from outside of New York City, Meghan moved north to attend the University of Vermont. She graduated with bachelor’s degrees in Art History and Finance/International Business. A lot of her time was spent on snow skiing in Stowe, Vermont and playing club lacrosse. For her junior year she studied business and art history abroad at the University of Edinburgh in Scotland. Upon graduation, Meghan began work in commercial real estate in New York City to very soon realize she missed the mountains. And so, like so many before her, she moved to Jackson to ski for one winter and immediately realized Jackson was home. (Her first deep day on Teton Pass was enough to reaffirm that.) 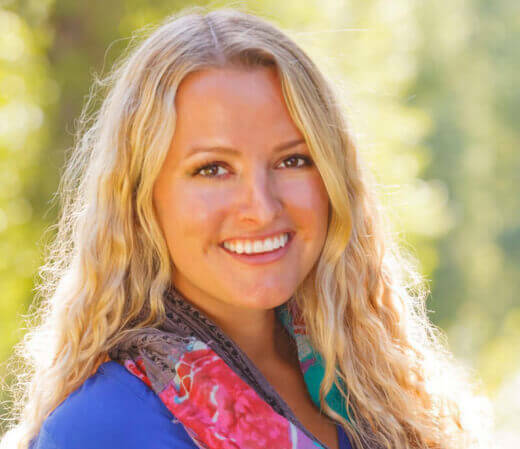 Meghan is now working with Snake River Sporting Club as a real estate associate and is involved in the sales and development of the property and coaches for the Jackson Hole Lacrosse Club. In her spare time she is likely skiing in the backcountry, floating the Teton River with her dog, or chasing the sunset out to the Tetons. All of the open space and land in and around Jackson is big, wild and wonderful. Meghan looks forward to engaging with the Jackson Hole Land Trust to protect and conserve the open space in and around Jackson for the future. Originally from Minnesota with fourth-generation ranching roots in Montana, Ben graduated from Colby College in Maine with a BA in Environmental Policy. After college, Ben pursued a non-traditional route. He built a mahogany sea kayak and paddled the coast of Maine, worked on a vineyard in Burgundy, France and worked ski patrol at Park City Mountain Resort before and during the 2002 Winter Olympics. Ben then moved to Sun Valley where he ran environmental education programs for the Environmental Resource Center and became an instructor for the National Outdoor Leadership School (NOLS) teaching sea kayaking in Alaska and back country skiing / winter camping in the Tetons. In his search for a way to live long-term in the mountains, Ben left the west in his mid-20’s to pursue his MBA at Babson College in Wellesley, Massachusetts and was hired by a private equity firm in Dallas where he worked for 6 years. During the winter of 2011/12, Ben worked remotely from Jackson and has since bought a home and relocated to Jackson full-time. Ben currently runs a private equity firm, Long Trail Holdings, which focuses on majority purchases of closely held businesses across the U.S.
Mary McCarthy joined the Council in 2018. When Mary visited Jackson Hole on vacation in the early 2000s, she fell in love with the landscape one early morning as the sun rose. In time, she decided to “do her dream,” commuting from San Francisco to Jackson as she chose architects, found a site, hired a contractor, and worked with her team to build a house in East Jackson. While trained and having worked as an architect, Mary spent most of her career in real estate finance and fund-raising. After getting her MBA at Wharton, she joined Morgan Stanley’s real estate group and subsequently worked for several investment firms. Mary concluded her finance career at Hines and transitioned to executive recruiting where she focuses on the institutional real estate industry. For six years, Mary served on the board of the University of Virginia’s School of Architecture Foundation. She has also served as a trustee of Grace Cathedral in San Francisco. Mary is a member of the Urban Land Institute and participates in its Building Healthy Places Interest Forum. Originally from North Carolina, Mack graduated from NCSU with honors. Mack became intimately connected with Jackson Hole as a river guide, photographer and working at Jackson Hole Mountain Resort. Introducing thousands of visitors to the unique world of the Greater Yellowstone ecosystem came second nature to him. Being raised in the family brokerage, Mack quickly found his calling and became a third generation Realtor with Jackson Hole Real Estate Associates. 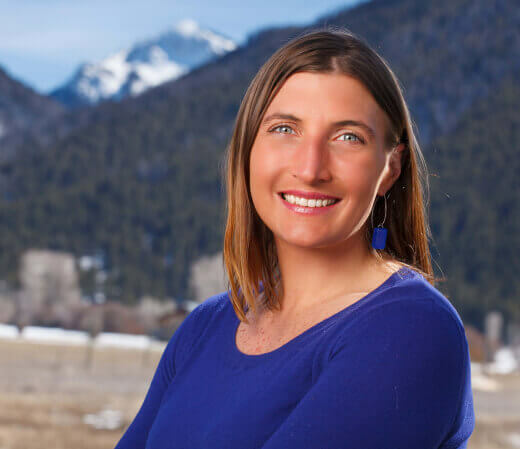 Mack’s crowning achievement was being named the first and only real estate agent ever to be voted the Best in Jackson Hole from 2009-Present. As an active member of the community, Mack is a Board Member for the Teton Board of Realtors, Open Space Councilman with the JHLT, Town Creek Condominium HOA Board member and volunteers for Habitat for Humanity, the Teton Raptor Center, and Old Bill’s annual fun run. Mack met his wife Katie in Jackson Hole and they now raise their daughter Grace in East Jackson. Originally from Boston, Carolyn Ripps arrived in Jackson Hole via Washington, DC in 2004 for “just one” post-collegiate summer and has remained ever since. A graduate of the Groton School and Georgetown University’s School of Foreign Service, Carolyn has worked as a ski instructor at the Jackson Hole Mountain Resort, in fundraising at the Grand Teton Music Festival, and is currently in sales and marketing at the Tayloe Piggott Gallery, a contemporary art gallery in Jackson. She lives in town with her husband and young daughter Gwenith (and their two troublesome dogs). Carolyn is inspired by the local community and serves on the board of GAP! (girls actively participating) and has been on the Jackson Hole Land Trust’s Open Space Council since 2013. With a background in the arts, Carolyn is particularly interested in the connection between conservation, community engagement and the visual arts. As the Director of Rendezvous Park (R Park), Elisabeth operates and maintains the 40-acre park for the enjoyment of all, for free. R Park is possible thanks to the Jackson Hole Land Trust, who purchased the once-gravel pit from a developer and now holds its conservation easement. 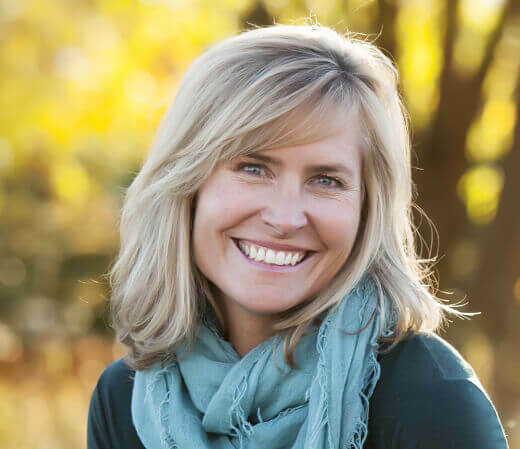 Elisabeth has ten years of experience in the nonprofit sector, most recently with Grand Teton National Park Foundation and before that with an international organization that is eradicating illiteracy in the developing world. She is on the board of Wyoming Stargazing, which utilizes protected land to observe our extraordinary skies. Elisabeth made Jackson her home in 2010 and does her best to avoid flying over her mountain bike’s handlebars. Ben Roth was born in Cheyenne, WY and raised in Littleton, CO. 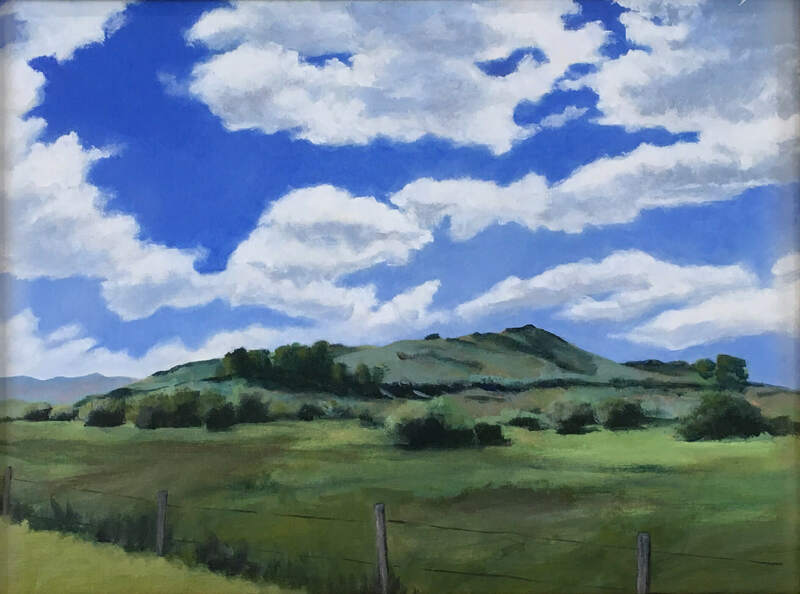 Being raised in the Front Range of the Rocky Mountains meant he spent his childhood camping, fishing, and honing his eye for the evocative shape of the natural world. After graduating from UNLV with a degree in hotel management, Ben worked in the restaurant business and did art on the side, all the while fine tuning his understanding of the interplay of sensory experiences. 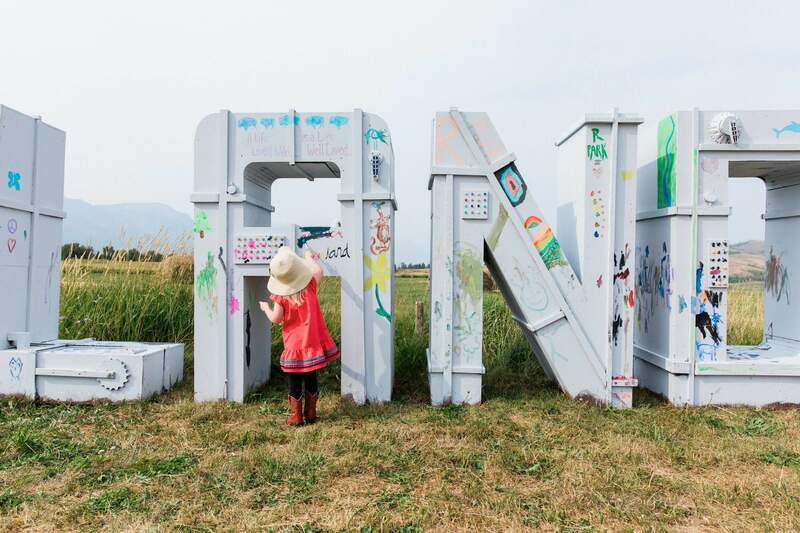 In 2001, he founded YARD Art through the Art Association of Jackson Hole. “Young Artists-Revolutionary Designs” taught up-and-coming artists the process of metal fabrication and sculptural design from start to finish. During his time mentoring young artists, Ben made art his primary focus and started Ben Roth Design, the business he still owns and runs today. Inspired by the dramatic beauty of the Tetons and the wildlife of Wyoming, Ben crafts metal works and sculptures that have both a simplicity and intricacy. Ben Roth has received awards for his art from both Americans for the Arts and Custom Home Magazine. The Value of Water, a group show with author Terry Tempest Williams and Felicia Resor was installed at the Cathedral of St. John the Divine in New York City where it was on display in 2011 and 2012. His works are held in numerous private collections throughout the Rocky Mountains, California, and the Upper Midwest. His public art installations can be seen in Vail, CO, Green Mountain Falls, CO, Jackson, WY, Cheyenne, WY, and Minneapolis, MN. Eric Seymour has lived and worked in Jackson Hole for over ten years. Raised in Colorado, Eric developed a love for the outdoors early on. After graduating from Western State University with a BA in marketing Eric started a film production company to document whitewater kayaking expeditions around the world. His experiences as a pro kayaker led him to produce award winning feature length films, including entries to the Banff and Telluride Film Festivals. As the Social and New Media Manager for Jackson Hole Mountain Resort, Eric is responsible for overseeing the resorts digital media content. Eric works in the field as a director, executive producer, and cinematographer creating compelling stories for Jackson Hole Mountain Resort. Eric is also is an accomplished photographer capturing the marketing images for JHMR and is published frequently, including a cover shot on Ski Magazine. Nicole’s professional background is in finance, with experience in investment banking and asset management. In addition to a career in finance, Nicole brings years of experience in development – including annual fund campaigns, capital campaigns, and major giving. She has lead or participated in development efforts for the Bay Area Discovery Museum, Stanford University, Harvard Business School, Sidwell Friends School, Lick-Wilmerding High School, Menlo School, and the Woodside School Foundation. Nicole is currently a member of the national Board of Directors of NatureBridge, a trustee for the Menlo School, Atherton, and an Emeritus Board Member of the Woodside School Foundation. A member of the Sidwell Friends School Class of 1985, Nicole received an AB in Economics from Stanford University in 1989 and an MBA from Harvard Business School in 1994. Nicole and her husband Andrew and their four children spend time in both Woodside, California and Jackson Hole. Many of Nicole’s most important and memorable experiences have taken place in nature, and she believes in the ability of the outdoors to transform lives. Nicole enjoys skiing, hiking, fly-fishing, biking, tennis and travel, and is a dedicated equestrian. After graduating from the Savannah College of Art and Design in 2006 John moved to Jackson, Wyoming where he spent many summers on his grandparent’s ranch. With a unique perspective on the valley and its residents, John works to build a better model of what an architect can be. For him that means being involved and doing what he can to best leverage his skills to the community’s benefit. As an Associate with Gilday Architects, John oversees many residential and community minded projects. He served for six years on the Town of Jackson Planning Commission and was highly involved in the Comprehensive Plan process which created a long term vision of the valley’s future. Bobby Thomson moved to Jackson in the Fall of 2007 with his college roommate. He had to Google where and what Jackson Hole was after he committed to move here. He had skied maybe eight days total in his life at Wintergreen in Virginia and was that southern kid on straight skis he bought at a thrift store and ski boots three sizes too big. Bobby has done almost everything to stay in Jackson from bagging groceries, being a bell hop, a cashier, Rookie of the Year ski instructor, in group sales for JHMR, and now he owns his own business-Quiznos Sub. He loves being his own boss and having the flexibility to get involved with local organizations. While Jackson was new for Bobby in 2007, mountain life was not. Growing up, he spent fourteen summers in the blue ridge mountains of Virginia where he gained a great appreciation for open space and the beauty of mother nature. He cherishes the work JHLT is doing to continue to provide open space for future generations. On his down time, Bobby love to ski as much as possible, hike, and ride horses on the many trails within and surrounding Jackson Hole- many of which have views that will never change thanks to the work of the Land Trust. Darrick Walker grew up on an almond and pistachio farm in California and is a graduate of the University of California, Berkeley. He is a financial advisor and is also the owner of W4 Ranches which invests in the development and ownership of California almond and pistachio ranches. He is currently working on agricultural conservation easements for ranches in California and in North Carolina. Darrick has lived in Jackson Hole full time since 2006 with his wife Julie and their two children, Abby and William.